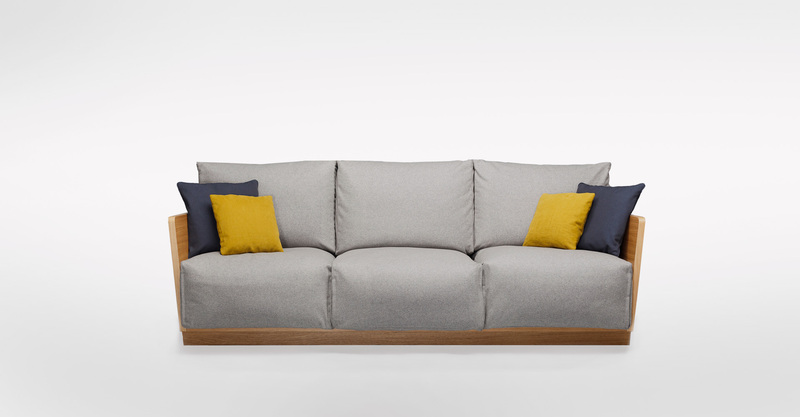 This cosy sofa brings warmth to any interior and provides a friendly place to rest. 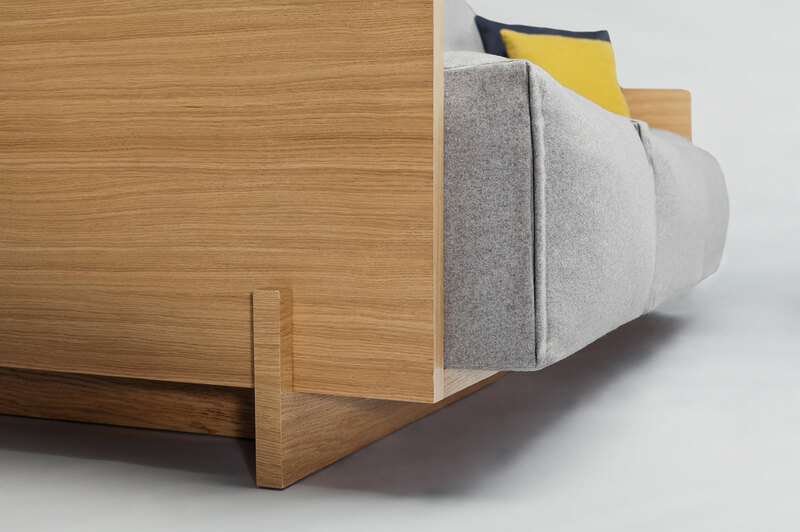 This is a surprisingly simple solution – the wooden structure is a special box in which soft shaped cushions are placed. Embracing the user, they allow to freely position the body, and always feel completely comfortable. The additional cushions in contrasting colours and fabrics give the vibrant accent.